First thing was to charge it. It said to charge for 4 hours but that wasn't really possible. It charges on it's own time and the light goes out when done and that means it's no longer charging. It went out long before 4 or even 2 hours. To charge it more I unplugged it and then plugged it back in again several times to try and get an initial total charge of several hours. that's a hassle but just leaving it plugged in for 4 hours will not give it a 4 hour charge. This is likely why some have had poor battery life but even doing this did not get the 8 hours advertised. I bought these as a replacement for a similar more expensive Plantroics headset which I had to replace because the headset itself was broken. These are ok. Range is good, sound is good, nice quality and almost fully equipped comparatively. I believe they are too small for many people like myself. While the headset does fit my head, it puts too much pressure on my ears or even my neck if I drop them down while not listening, and the speakers could be a little larger. The charge doesn't last long - maybe 4 hours at best, much less than my previous set. Also when charging, you can't listen to your external speakers because the sound system thinks you are still using the headset. 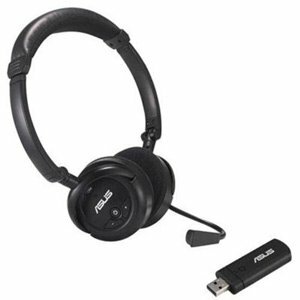 The mini USB cord to charge using the bluetooth adapter and the headset is too short for my system since I don't have any USB connector on my keyboard. My only alternative seems to be to charge it elsewhere. I also wish it came with a mini jack connector to allow me to use my headset on non-USB stereo devices.